The criteria for each award and the application processes are spelled out in detail under “VVA Awards and Nomination Forms” on the “Organizational Resources” page of the VVA website. 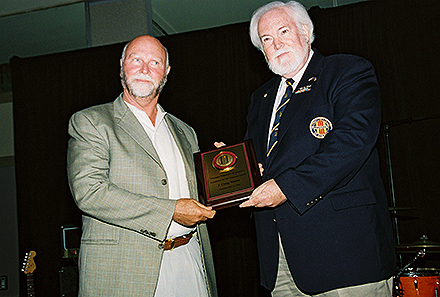 In general, the award decisions are made by VVA’s national officers, the National Board of Directors, or the VVA National Awards Committee. VVA Member of the Year and Incarcerated Member of the Year nominations may be submitted only by the president of the member’s chapter or a state council president if the nominee is a chapter president. Any chapter or state council may nominate itself for Chapter of the Year and any state council for State Council of the Year. The same self-nomination process applies to the Chapter Newsletters and E-Mail Newsletter of the Year, as well as the State Council Newspaper and E-Mail Newspaper of the Year, and Chapter and State Council Websites of the Year. Those nominations must include five copies of the three most-recent issues of the publication. Publications are judged by the VVA Communications Department and The VVA Veteran staff on editorial content, readability, organization, clarity of expression, layout, and graphics. Applications should be submitted to the VVA Awards Committee, Attn: Mokie Porter, 8719 Colesville Road, Suite 100, Silver Spring, MD 20910. The Commendation Medal, VVA’s highest award, and the Achievement Medal can be presented any time during the year—including at National Conventions and Leadership Conferences— as can the Minority Affairs Committee Diversity Award. Chapter presidents and state council presidents may nominate a VVA member for the Commendation and Achievement Medals, although it’s up to the national Awards Committee to determine which, if either, medal will be bestowed. You’ll find the nomination form here. The newly established JROTC Medal recognizes high school students who have displayed exceptional leadership, community service, and academic achievement. VVA chapters present the medal to a cadet chosen by a local school. State councils then select a State Top Cadet. Those cadets’ names are then submitted to the VVA Public Affairs Committee, which chooses first, second, and third-place national winners. The deadline for submissions to the committee is April 1. 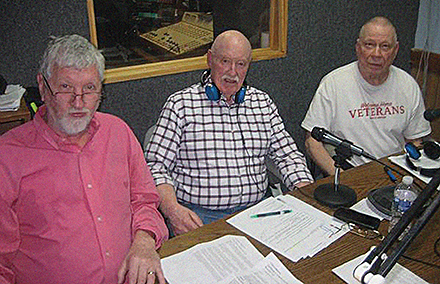 VVA has been presenting Excellence in the Arts awards to Vietnam War veterans since 1987. Two years later, we added the President’s Award for Excellence in the Arts, which goes to non-veterans whose work involves the Vietnam War or Vietnam veterans. The awards recognize outstanding work in film, TV, drama, literature, nonfiction, and popular and fine arts. Since 2008 we have presented the VVA Excellence in the Sciences award to recognize medical doctors, psychologists, researchers, and other high-achieving Vietnam veteran men and women of science. This group of honorees includes Craig Venter, the biochemist who did ground-breaking research on decoding the human genome, and pioneering PTSD researchers Charles Figley and Reid Lyon. 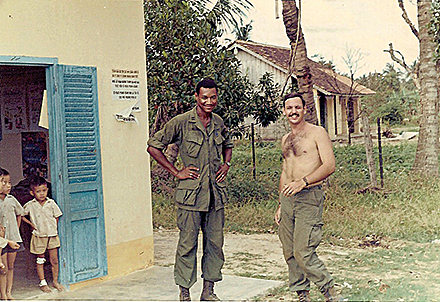 Vietnam Veterans of America is the only congressionally chartered veterans service organization that honors veterans in the arts and sciences. The awards are the centerpiece of the Saturday night Awards Banquets, the culminating events of the biennial National Conventions and National Leadership & Education Conferences. 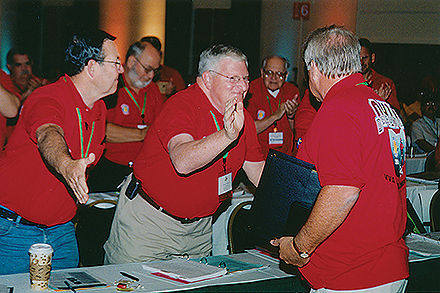 The acceptance speeches—awardees must attend to receive their awards—often are the highlight of the Conventions and Conferences for VVA members and for the award winners themselves. “I’ve never ceased to be amazed by the emotional, heartfelt words virtually every award winner has spoken when accepting the arts or sciences award,” said VVA Veteran Arts Editor Marc Leepson, who helps produce the awards ceremonies. In the past thirty-plus years the arts awards have gone to many notable Vietnam War veteran writers, directors, actors, novelists, poets, and artists. That long list includes film and TV luminaries Oliver Stone, Patrick Duncan, Lee Ermey, Dennis Franz, Dale Dye, Troy Evans, Pat Sajak, and Wes Studi; novelists Robert Olen Butler, Philip Caputo, Larry Heinemann, Tim O’Brien, Winston Groom, and Karl Marlantes; and the authors William Broyles, Harry Summers, Homer Hickam, and Walter Anderson. The President’s Award for Excellence in the Arts recipients include Bobbie Ann Mason, Wallace Terry, Neil Sheehan, Dr. Haing Ngor, Dana Delany, Kris Kristofferson, Joe Galloway, Twyla Tharp, Bob Hope, Connie Stevens, Raquel Welch, Lee Greenwood, Nancy Sinatra, Chris Noel, Mark Farner, Vikki Carr, Vicki Lawrence, Johnny Rivers, Arlo Guthrie, and Wayne Newton. The nomination process for the Arts and Sciences awardees starts early in the year. The VVA Convention Planning Committee welcomes suggestions from all VVA members. The award winners are chosen by the committee with input from VVA’s national officers, board members who express interest in the process, and the Communications Department and VVA Veteran staffs.